Christie’s held their annual New York Magnificent Jewels and Collection auction in New York on June 12, 2018. A total of 189 lots were offered, of which included colored and colorless diamonds alike. To read more about the auction’s highlights, click here. The Argyle Mine is in a class by itself when it comes to producing pink diamonds. As such, only a skilled jeweler is able to handle these pink diamonds produced from that mine. John Calleija has been profiled as one of the only 30 ‘select ateliers’ in the world with access to the mine’s best pink diamonds. Click here to read more about his beautiful work. The Alrosa Mine is one of the leading diamond mines in the world. In this post, the Director of Sales, Evgeny Agureev, shares his latest insight into the diamond industry. To read the full interview, simply click here. 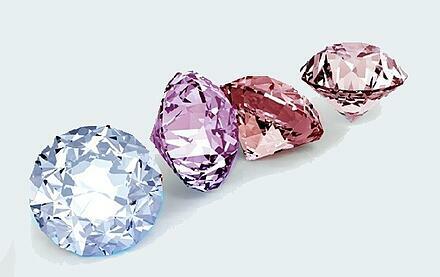 Naturally colored diamonds have been showing promising growth in its value over the years. In this post, Arpège Diamonds compares these investments to 3 more traditional alternative investments. To read more, click here. With a two-part series, Forbes takes a look into diamond experts and jewelry house, Moussaieff. (For part 1, click here.) In the post, Forbes shares the different colored diamonds Moussaieff has worked on, along with the jewelry house’s history. To read more, click here. Now for some more "unique" colored diamond news, the Juliet Pink is a $30 million pink diamond that is currently being held “hostage” by one of its co-owners. The stone is described as “among the largest and most valuable colored diamonds currently on the market.” To read more about the diamond, click here. Sotheby’s recently announced they will be auctioning off long-unseen jeweled that once belonged to Marie Antoinette. The French queen was known for her love of pearls and diamonds. To read more about her collection, click here. June was full of colored diamond auctions. On June 19, 2018, Bonhams California Jewels Sale offered a total of 440 lots. Diamonds included this brown pear-shaped brilliant-cut diamond, and these two colored diamond rings. To read more about the auction, click here. Lucapa Diamond Company is one of the largest diamond organization in the world. Earlier this month, the company brought in $2 million from a sale of rough diamonds originating at their Lulo mine. To read more about the sale, click here. 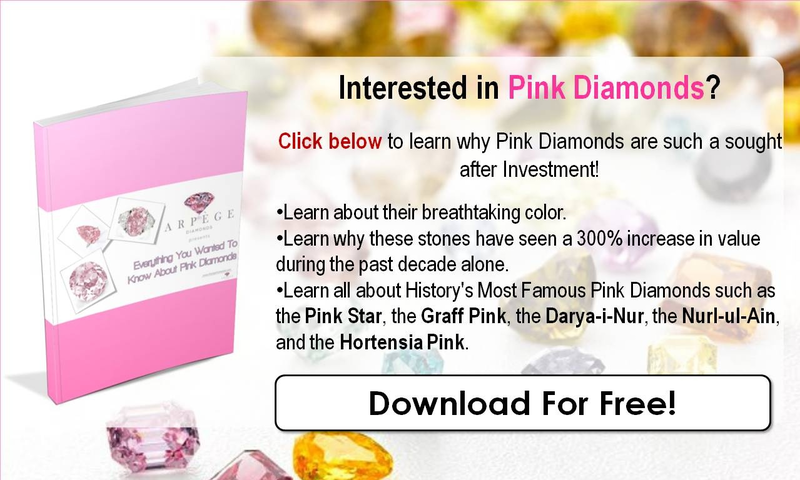 Are you interested in learning how to invest in colored diamonds? Arpège Diamonds takes a look at 5 reasons why you should invest, and how to get started. Click here to read more. How much would you pay for an 8-carat blue diamond necklace that features a 1.6-carat intense pink diamond mounted in gold? Well, it recently sold for $20.5 million dollars at the Christie’s Magnificent Jewels auction in Hong Kong. To read more about the necklace, click here.